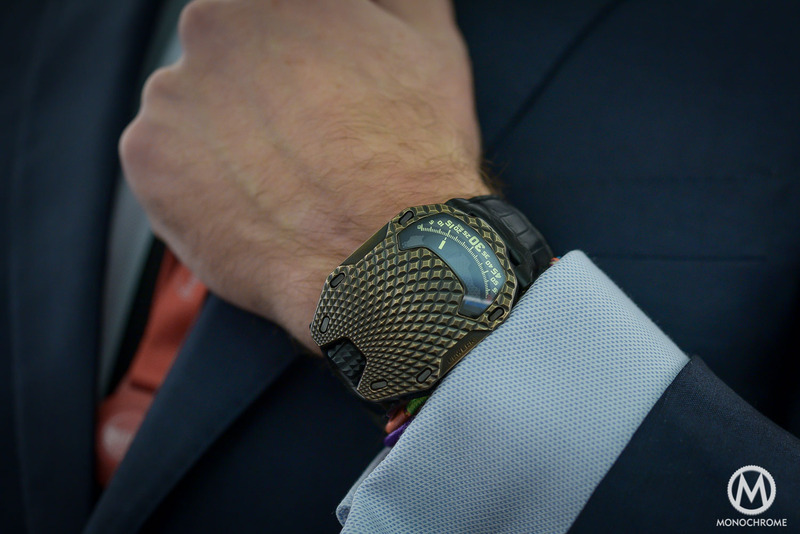 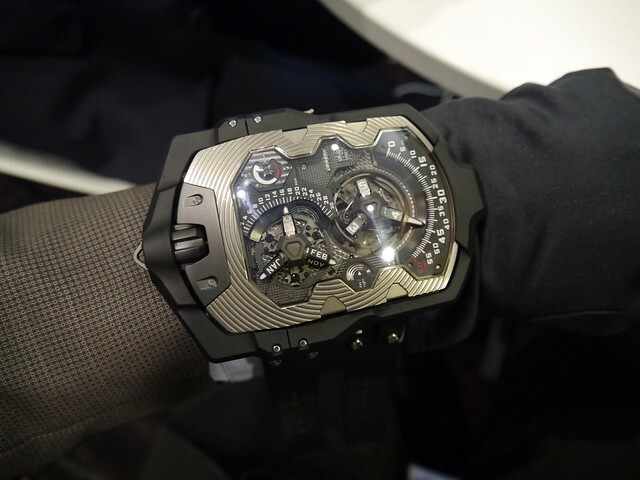 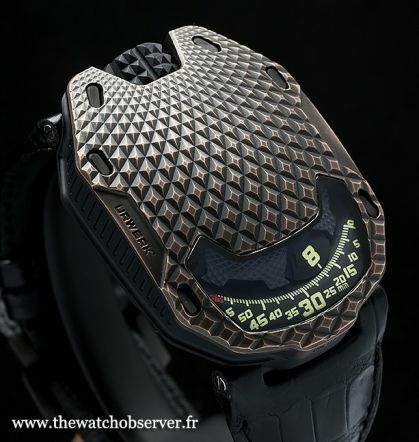 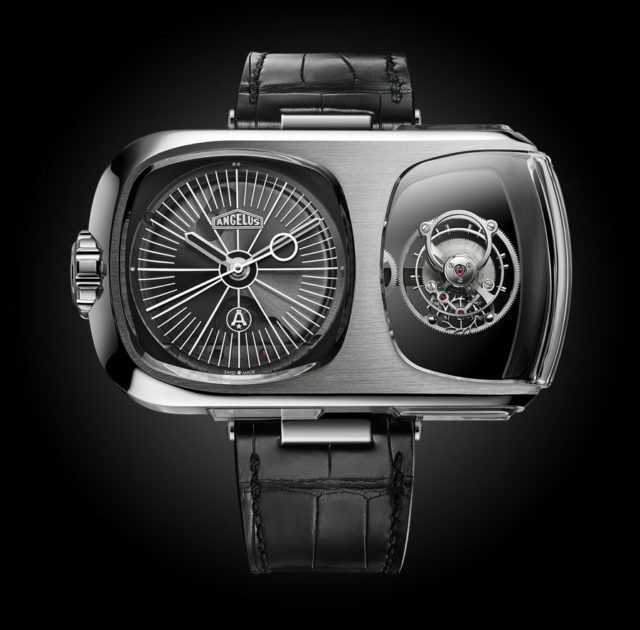 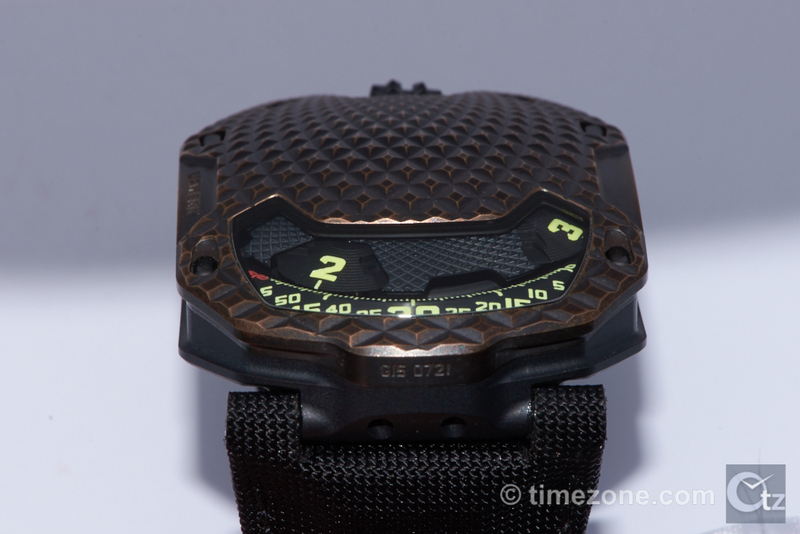 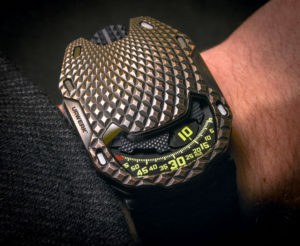 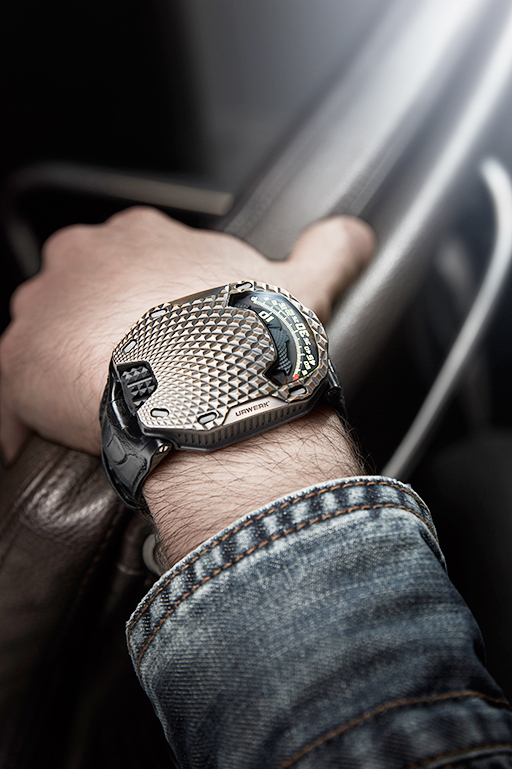 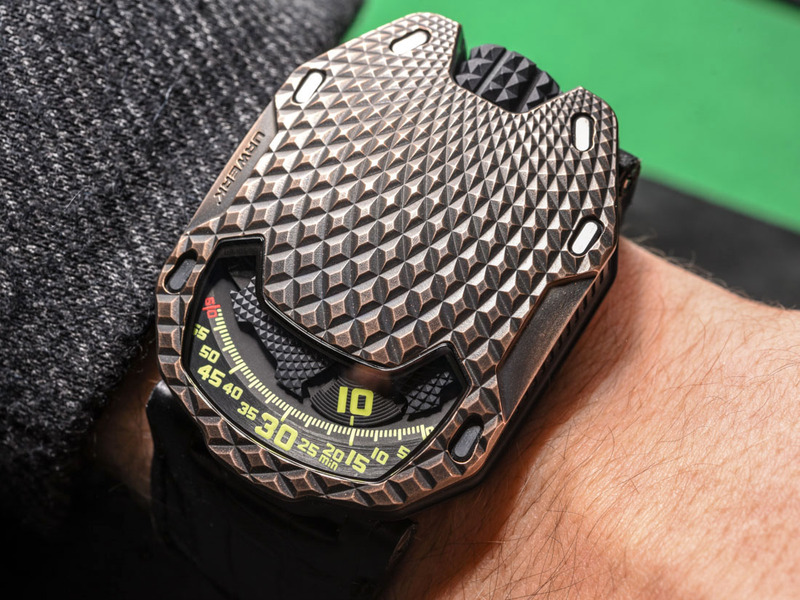 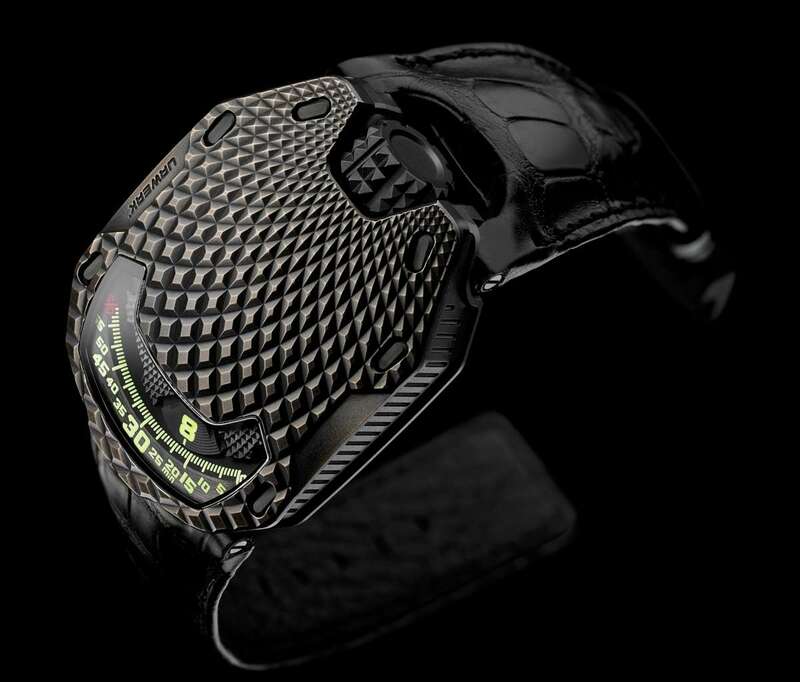 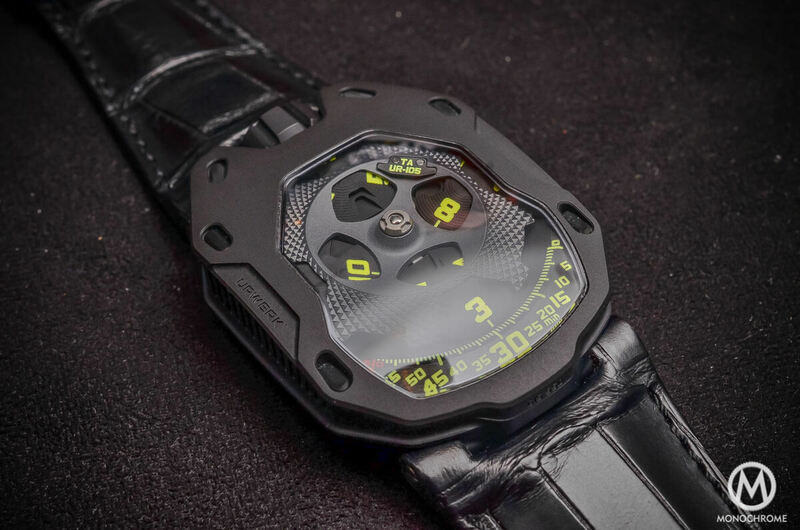 This year, the small Swiss brand Urwerk presents its watches for the first time at the Geneva watch Salon SIHH 2016. 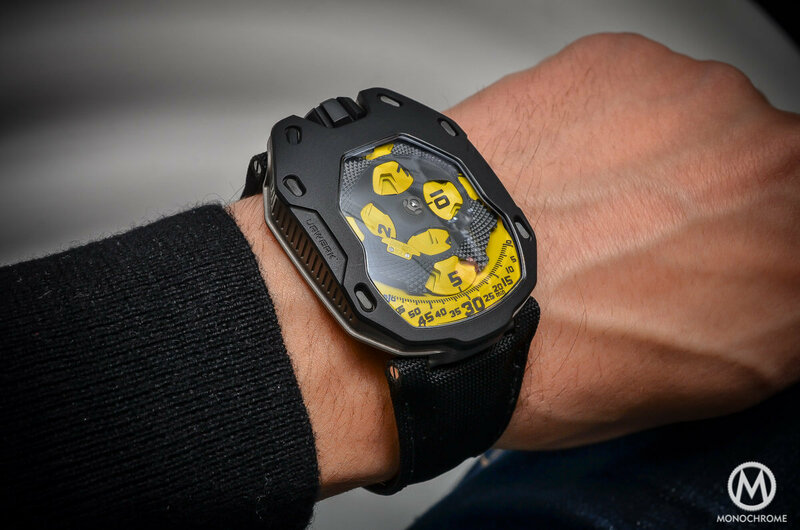 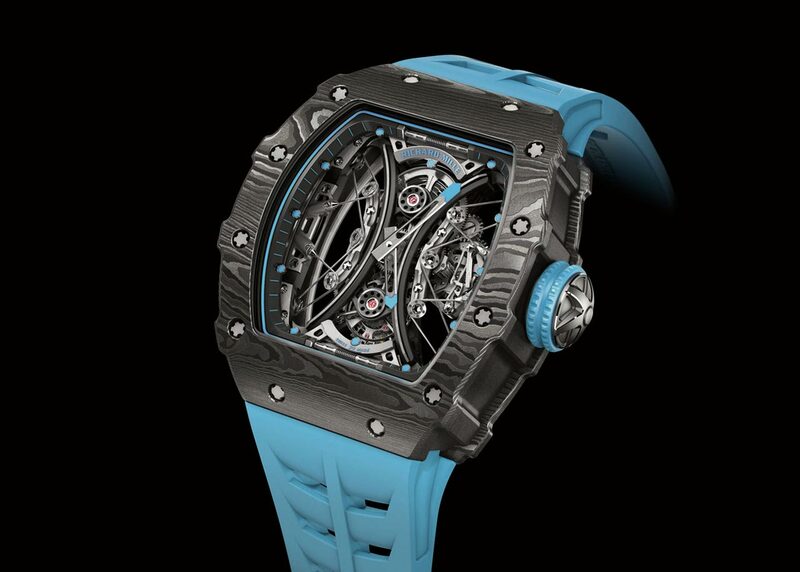 The latest creation of Ur-105 T-Rex carries a strikingly large housing with 39.5 on 53 millimeters. 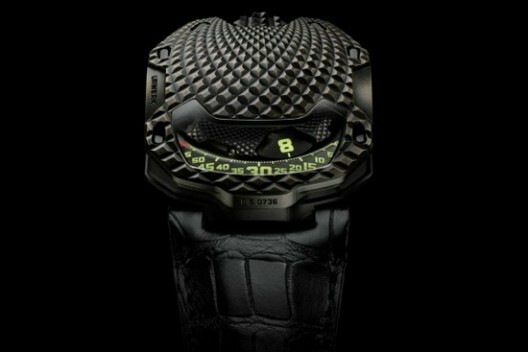 It is made of bronze with a rib structure reminiscent of long-extinct reptiles. 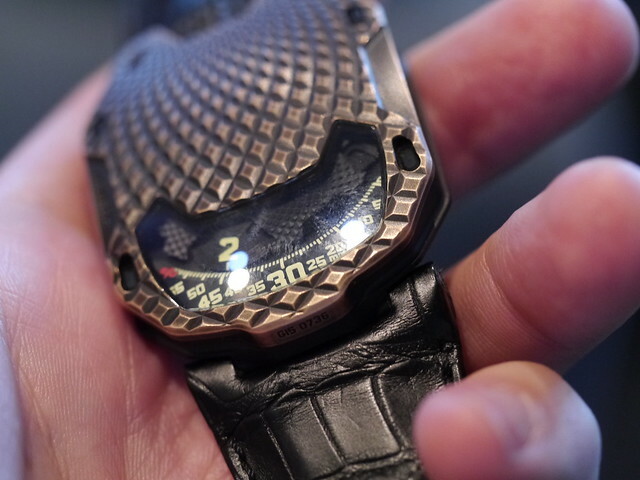 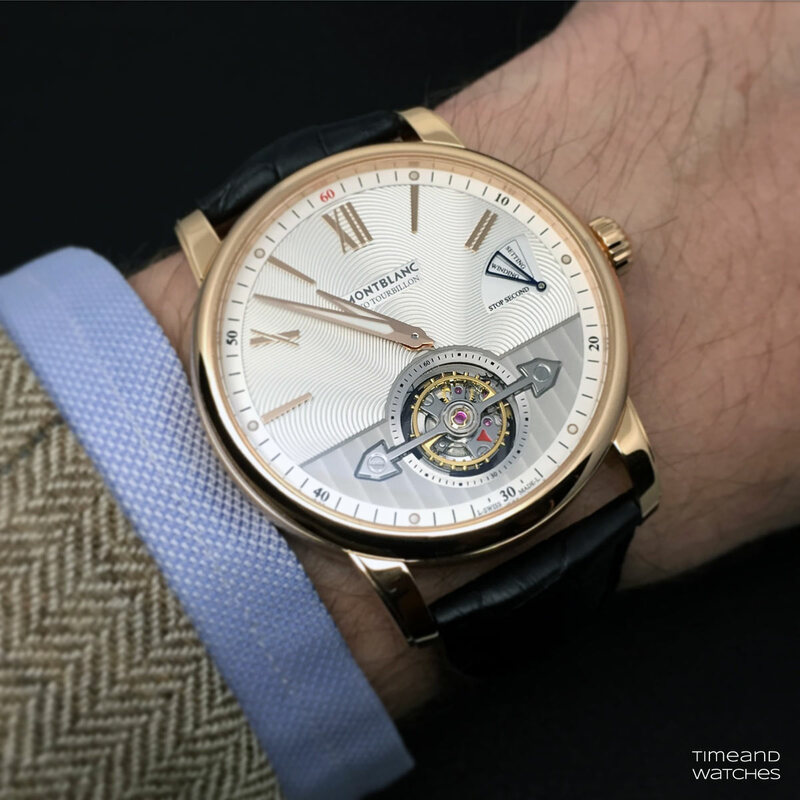 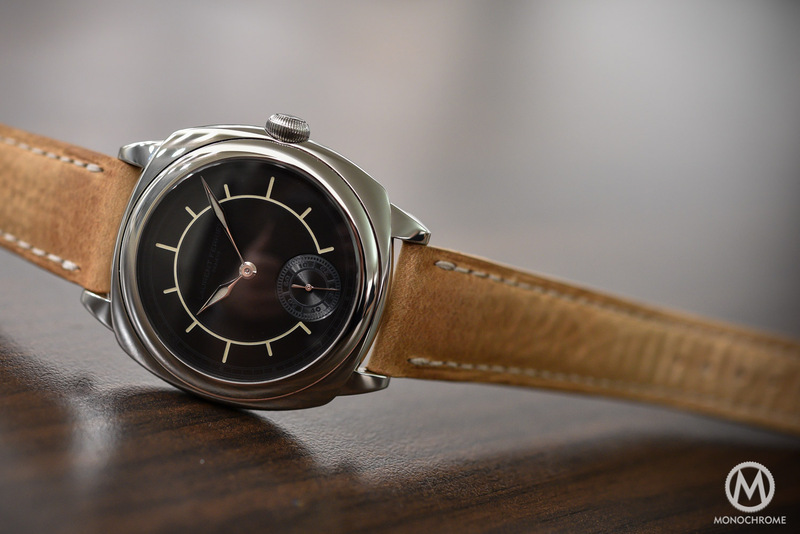 The time display sits behind a oblong sapphire glass window whose lower half is taken by a yellow minute scale. 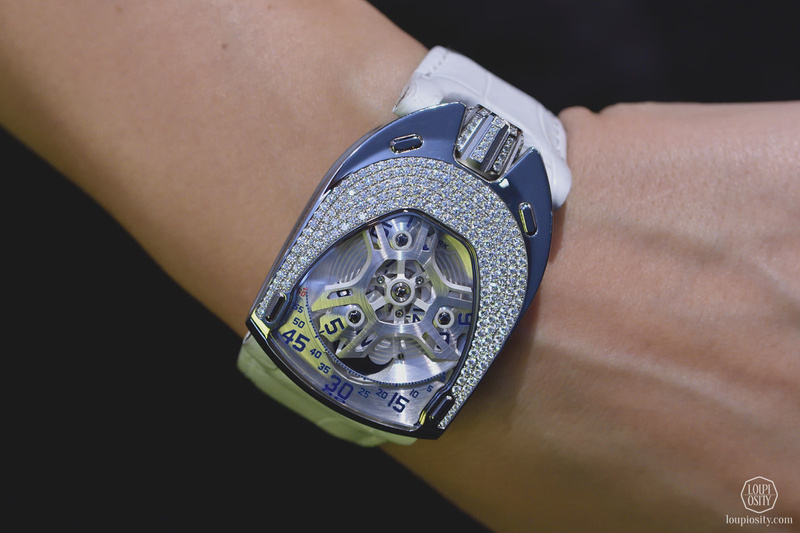 A disc on which the current hour is displayed moves along this scale and thus also shows the minutes.